Baby 2, the countdown is on! Less than a month!!! Less than 30 days and my family will get to meet Baby 2 and then I can stop calling him Baby 2 and give him a proper name! I would be more than happy if he came anytime now. We have a less than a month to go, so we’re safe for early babe. My sister threw baby and I am amazing baby shower. Lots of love and laughter. She did such an amazing job. Lots of great food. My Mum made this truly amazing cake. 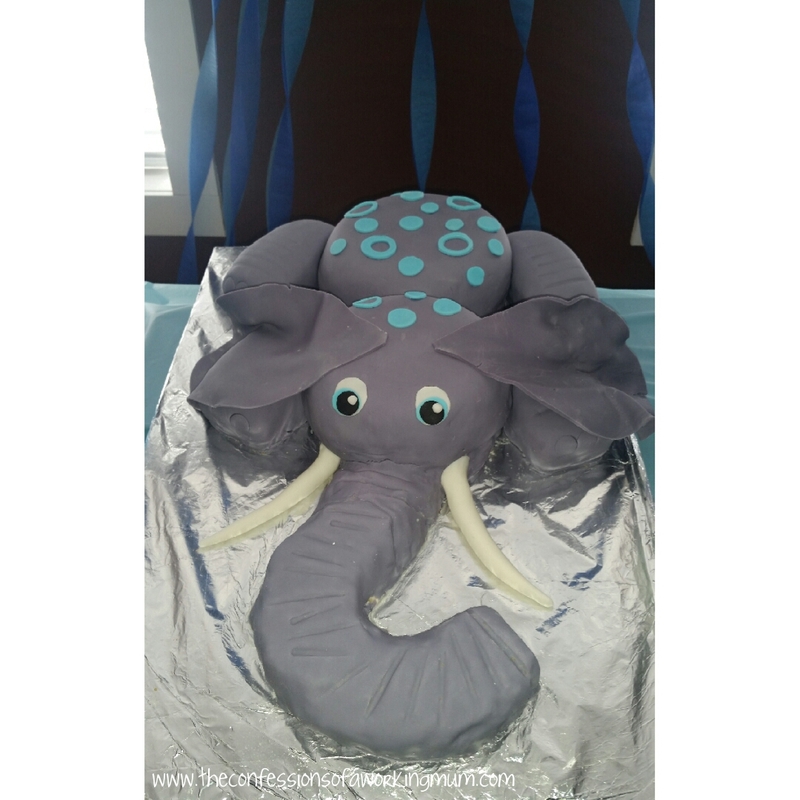 It was vanilla and rice krispies cake in the form of a wee little elephant! A feast fit for a pregnant gal! I should mention I LOVE rice krispies, that is what our wedding cake was, which my Mum made because my husband has weird lactose allergies and we couldn’t agree on a cake. We had this beautiful rice krispie cake. The amazing cake my Mum made for the shower. My sister knows me oh so well. I am not a huge games person. I don’t particularly enjoy baby/bridal shower games, but she did a great job! 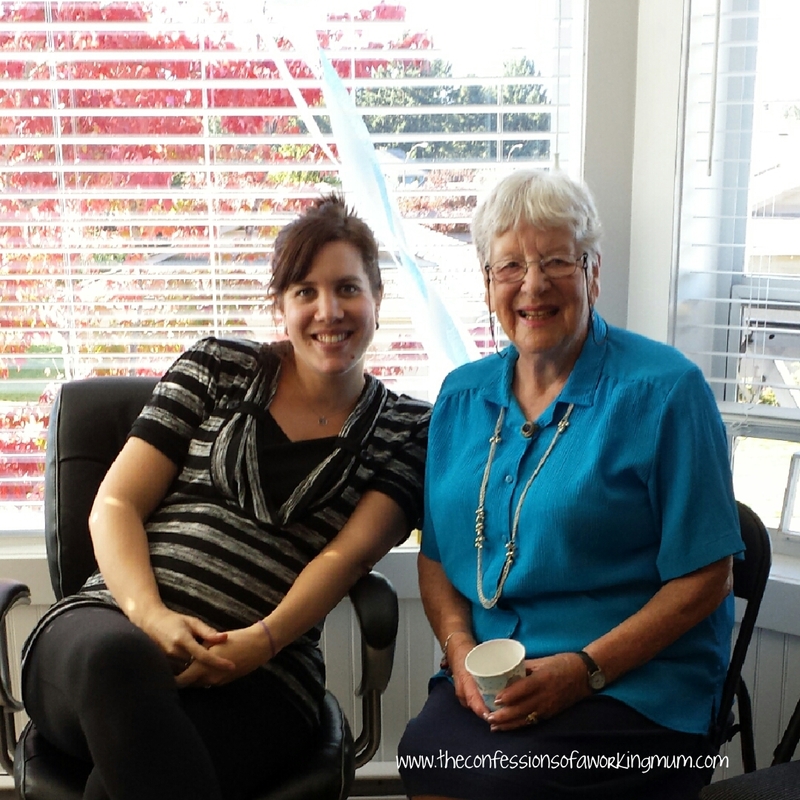 Everyone had fun and she had such enthusiasm to get everyone involved and laughing. There definitely wasn’t a dull moment at this shower. First game we played, I don’t know the name of it, was a chugging contest. Yes, you read that correctly! We had 3 lovely volunteers… to chug milk out of a bottle! OH MY GOD! This was the funniest thing I had watched my friends do in a LONG TIME. The contestants & the hostess herself. We use to chug beer… now it’s milk. Isn’t it funny how life changes. I was laughing so hard. I wish I had done a live Periscope of it or caught it on video. Question: I have no idea how to refer to recording a film anymore because well there is no film. It’s just a record button. Film. Record. Caught on video. I caught it on memory (ie. memory card) Are these terms accurate or am I just making stuff up now? My friends were great sports about it. We just laughed. It was really, really entertaining. 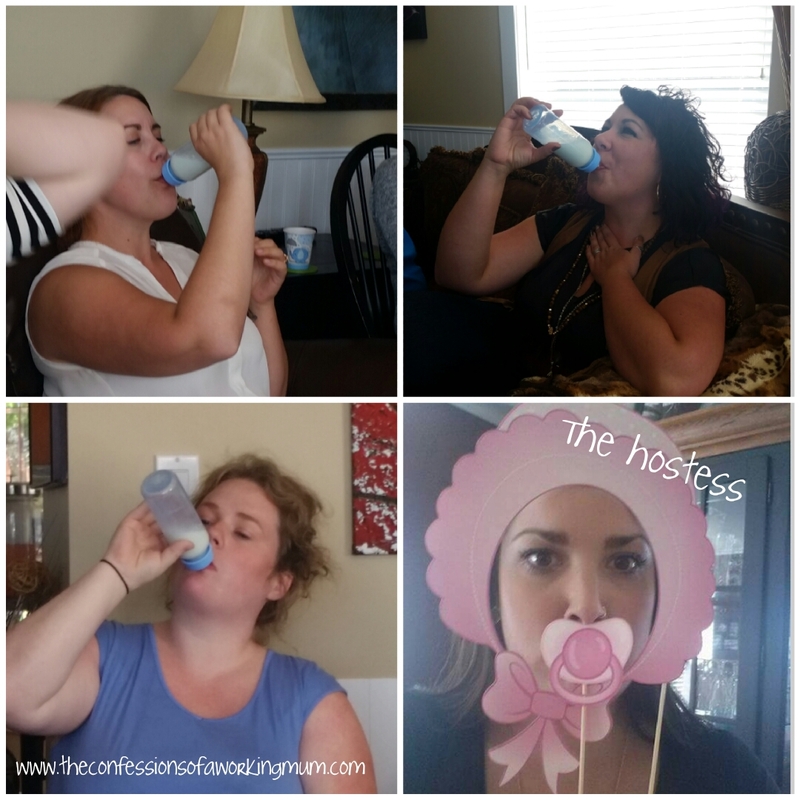 It’s not everyday that you watch your friends chug milk… from a baby bottle. Thank you ladies for making me laugh. After the laughter became a little more attainable but still alive we played the ‘What’s In Your Purse” game. An oldie but a goodie. I actually really love this game, because it always makes me want to clean out my purse after. Games and gifts aside, it was an afternoon filled with love and really showed me just how loved this baby is and he isn’t even here yet! My husband and I are really lucky people to have so many people that love us. 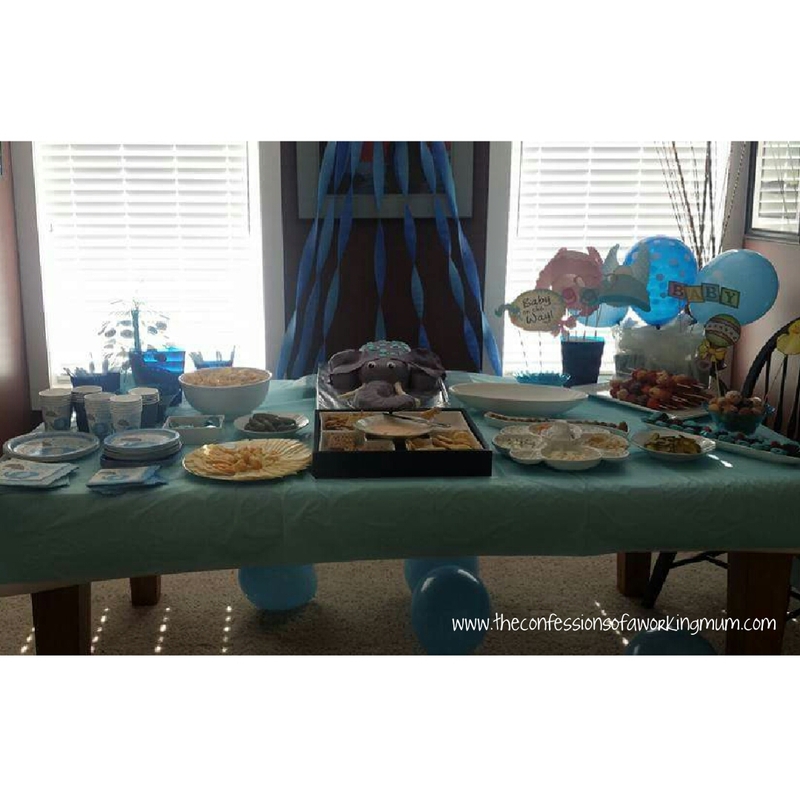 Baby showers are an ever changing tradition but they really show how a group of people, friends and family, love a little person before they are even born. My son has so many people who love him and I haven’t even met him yet. We are not alone. That is what a baby shower is about. Celebrating Motherhood, celebrating life, birth, family. Such a great afternoon with people I love and those who love me back. It’s such a great feeling. My Nana and I. I love this lady. The afternoon gave me the confidence that I need to be the best Mum I can be. BIG Thank you to all who came and celebrated the much anticipated birth our Baby Boy Torchia! It meant the world to me (& my husband) that you all came to celebrate!